Reality TV stars love to hawk stuff. From weight loss teas to merchandise featuring their mugs, there is no shortage of reality-TV-themed items available for purchase. 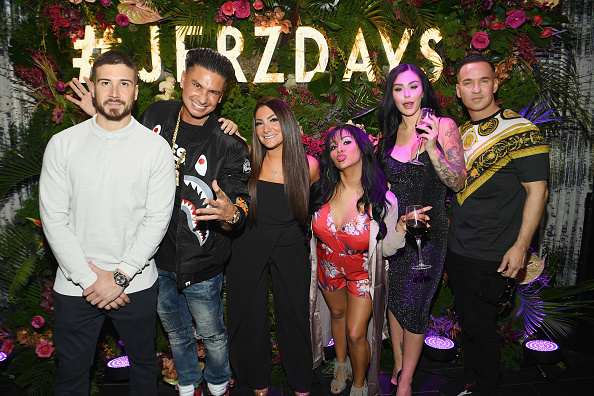 The cast of Jersey Shore has never shied away from selling stuff, and several of the cast members recently opened up online stores full of hilarious ‘Shore’ merchandise that would make a great Christmas/Hanukkah/Kwanzaa/“Sorry I dragged you with my car” gift for that ‘Jersey Shore’ fan in your life! Just so you know, The Ashley is not being paid to promote any of the items below, or anything like that. She genuinely thinks these products are amusing, and is only posting them for that reason. This is not a “sponsored post” or whatever the cool kids on Instagram are doing these days. Here are five hilarious ‘Jersey Shore: Family Vacation’ gifts! The Ashley discovered this candy set, which features six chocolate bars, all themed toward our favorite MTV guidos. Unlike some products, which feature a reality TV star’s mug slapped on some generic product, it seems that the maker of this set actually put thought into creating the perfect flavor for each cast member. 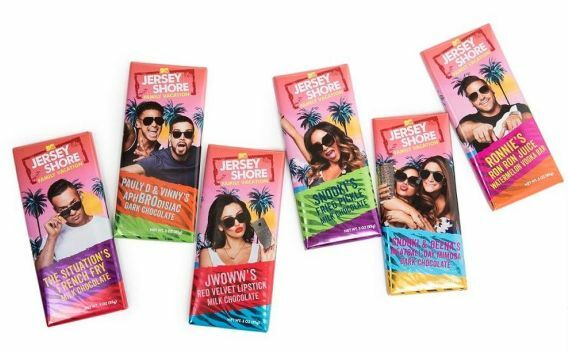 In the six-bar set, you’ll get Snooki’s Fried Pickle Milk Chocolate Bar; Ronnie’s Ron Ron Juice Watermelon Vodka Bar (which is basically Raaaahn‘s special hot mess concoction in chocolate form); and Pauly D & Vinny’s AphBROdisiac Dark Chocolate (to celebrate their amazing bromance). The set also includes Snooki & Deena’s Meatball Day Mimosa Dark Chocolate (which is a chocolate bar that’s infused with orange peel, champagne and popping candy); and The Situation’s French Fry Milk Chocolate (which is a mildly horrifying blend of chocolate, ketchup and french fries). You’ll also get JWoww’s Red Velvet Lipstick Milk Chocolate. “JWoww will rip your head off if you don’t satisfy your chocolate craving with this Red Velvet Milk Chocolate Bar,” the company’s website states. Sadly, poor Angelina was left out of the chocolate-theming, so if you are hoping for a dirty-hamster-themed candy, you’re out of luck! Mike “The Situation” Sorrentino has turned his life around in recent years, but, unfortunately, he will be going to prison in January to pay for his past crimes. Mike has had an overall positive attitude about his sentence, and is even offering these hysterical shirts on his Situation Store website. 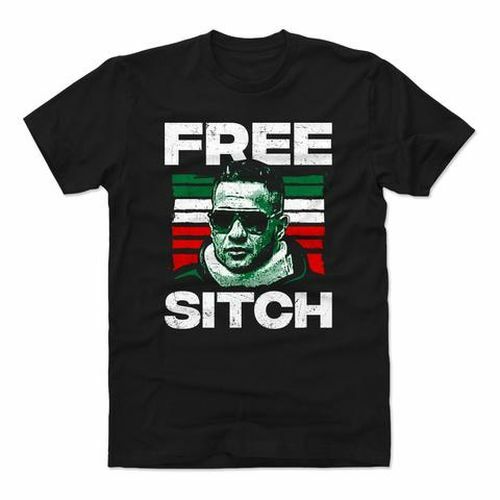 The “Free Sitch” shirt (or hoodie, or baby onesie, etc.) shows Mike wearing his signature ‘Jersey Shore’ neck brace and sunglasses. What ‘Jersey Shore’-loving family wouldn’t want to wear these in their Christmas card photo?! Order the ‘Free Sitch’ apparel here! Not sure what to get the smush-partner in your life? How about underwear with DJ Pauly D’s mug on them! The Pauly D Face Thong features Pauly’s face (and signature blowout) front and center, and is offered in black or white. Order the Pauly D Thong here! This 2010 gem would make a great stocking stuffer for any of your wannabe-juiced-up pals! Mike released this workout video nearly eight years ago, long before he discovered the joys of Funfetti cakes and basically every other food item on the planet. The video promises to help you “get ripped” via the five 15-minute express workouts. The tape is still available on Amazon, and, surprisingly, it got fairly good reviews! Order The Situation’s Workout Tape here! Cozy up to the Christmas fire in these straight-from-the-Shore-Store sweatpants! They feature Sammi Sweatheart’s favorite phrase, “Rahn Stahp!” If you don’t want to wear these sweatpants, the Shore Store website is full of sweats featuring other cringeworthy, 2010-esque ‘Jersey Shore’ quotes. Order the Rahn Stahp Sweats here! Tried the snooki and ron bar. They are addicting. And now sold out. Waaaahhhhh!!!!! I want those pants lol. Chocolates sound like a nightmare tho. Esp Mike’s one!